Cuba is in a complicated situation. On one hand, the people are warm and inviting even after long suffering from a stifling embargo; on the other hand, the government remains brutally repressive while claiming relaxed freedom of expression. Our recent visit was rewarding because the people are educated and happy in their situation and eager to share their views with us. As an outsider, my anger percolated from within for the deplorable living conditions of the masses. Government jobs are unrewarding and generally tedious for most. Good work goes unrewarded and poor work seems to be tolerated. Since there are very few places to buy things, if they can be afforded, the best jobs offer access to pilfering, which is tolerated to a degree - just don't embarrass or humiliate your boss. 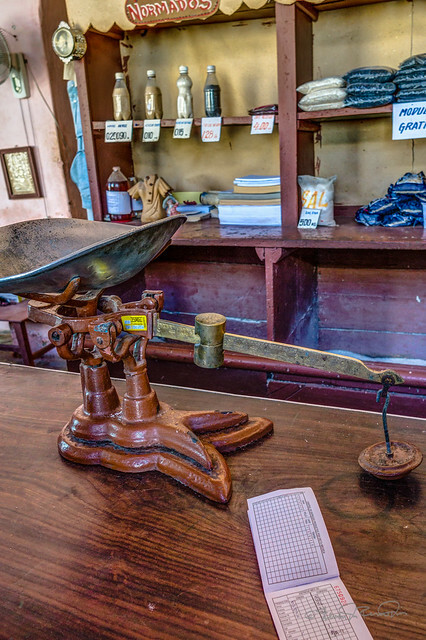 Every person is assigned to a specific ration store where they can buy, theoretically, food and basic necessities. But even here a kilo of sugar is 900 grams so that the store proprietor can make something on top of government pay. 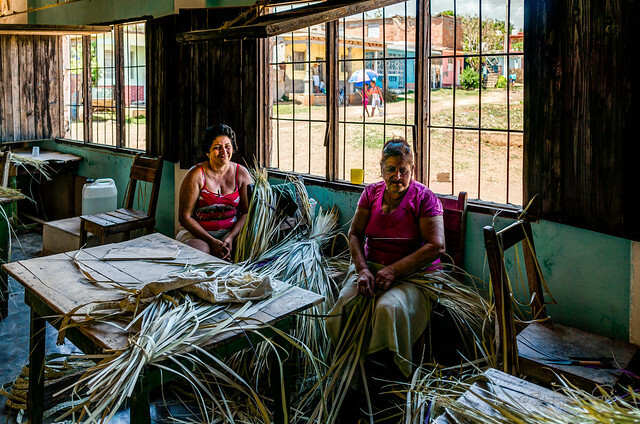 My visit to a state-run basket factory in Cienfuegos exemplifies a big part of the labor problem in Cuba. Workers here are paid a salary of about $20US/month for coming to work and producing a set amount of product. Making more product than required does not increase their wages, but may increase their future quota. When they make their quota, they just stop working and relax; they can't go home because they have government monitor to ensure the required hours spent there are met. There are private businesses in Cuba, although they are strictly limited in size by the government and no outside investment is permitted. 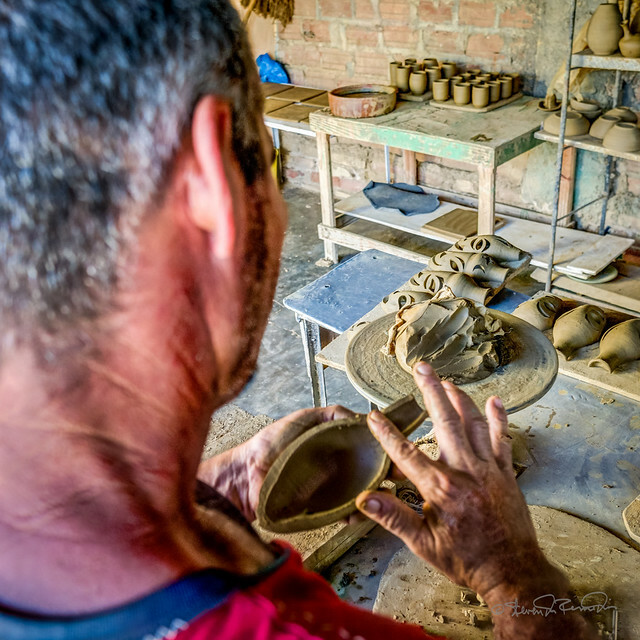 This ceramic factory is a family owned business which employs a number of local laborers and has attained a relatively high degree of success. They sell product to tourists, the more they produce the more profit they enjoy. It is a very entrepreneurial environment, but there are not many of these types of businesses - mostly arts, crafts, and tourist activities. One thing the government has done right is universal education. Everyone is exposed to music, dance and art at an early age, and those whom show promise are given the opportunity to nurture their talents. 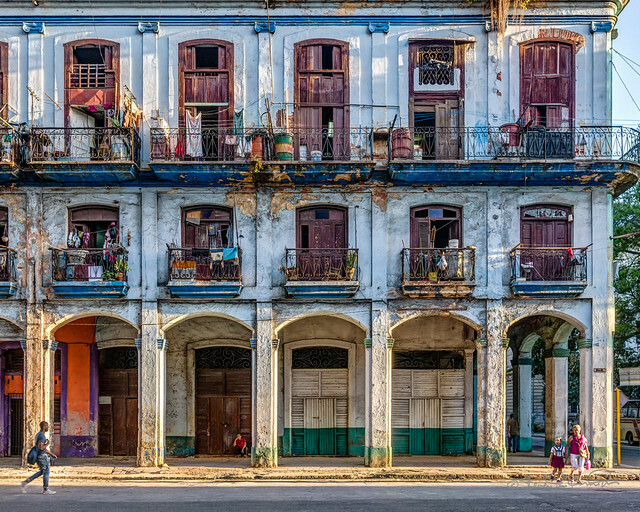 As a result, the Cuban cultural environment is rich with performing and graphic arts. José Rodríguez Fuster is a successful mosaic artist whose work invokes Antoni Gaudí and Pablo Picasso. 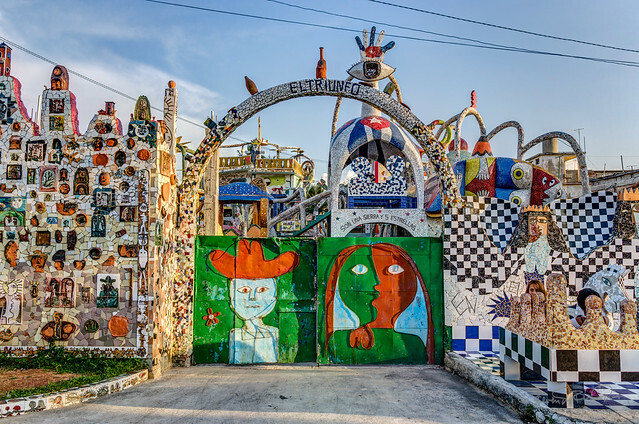 He has applied his work to many of his neighbor's homes and has built a fantastical mosaic park on his property. 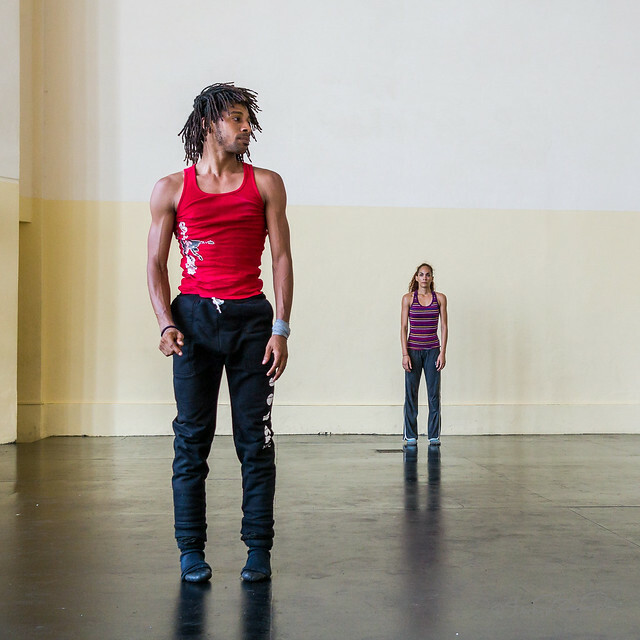 Malpaso Dance company is a group devoted to expressing and advancing Cuban contemporary dance. 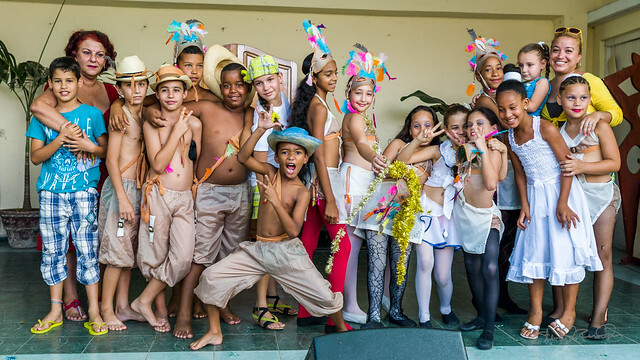 Drawing dancers from the national Danza Contemporanea de Cuba and up-and-coming students. They are faced with the situation of having a lot of talent but a lack of funds for performances and travel. You could describe them as a hidden gem, although they have performed in New York, Pittsburgh and Miami.